An attractive, lightweight growing cover, with a generous height for larger plants and air vents. 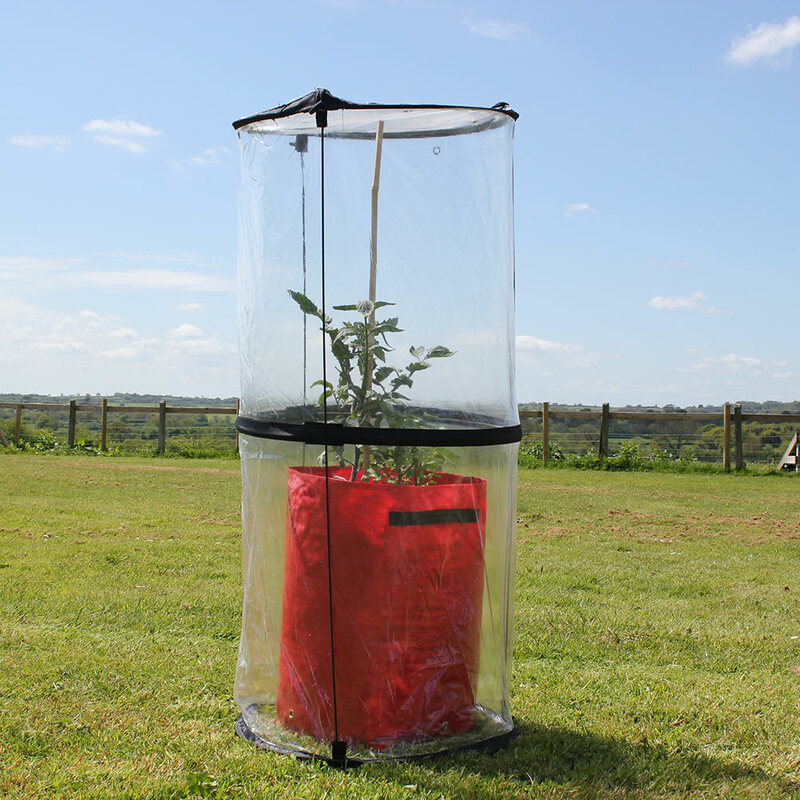 Diameter 50cm (1ft7") Height 1.1m (3ft7"). 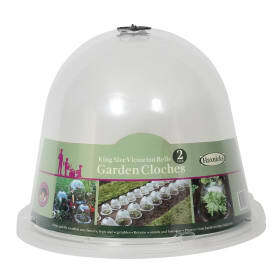 This handy, generously sized twist-up cloche is ideal for growing tomatoes and other tall plants. 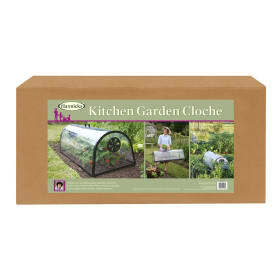 It will provide a cosy, moist growing environment and help to protect against blight, slugs and harsh weather. 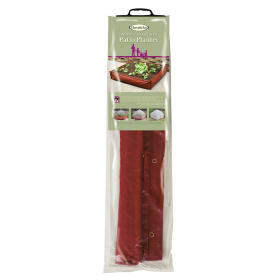 It folds down flat for easy storage, but can be instantly popped up and put out when needed. Comes with ground pegs so that it stays where you want it. 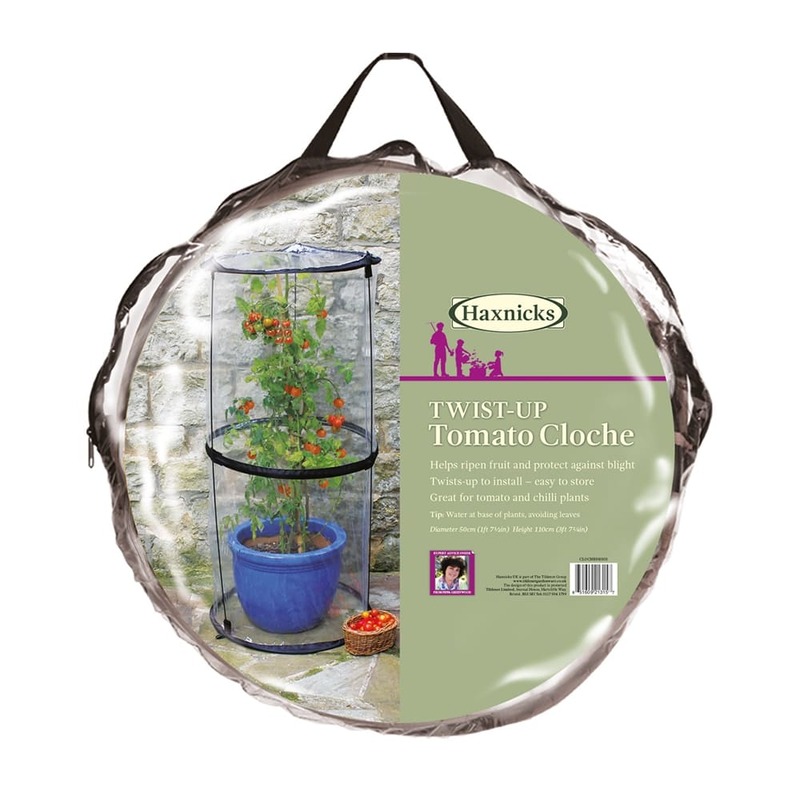 Fits over the Tomato (climbing) Patio planter.